Williams Street Repertory announces 2018 Winter General Auditions. WSR, McHenry County’s only professional theater company, announces auditions for 2018 Winter General Auditions! Williams Street Repertory is excited to announce 2018 Winter General Auditions! 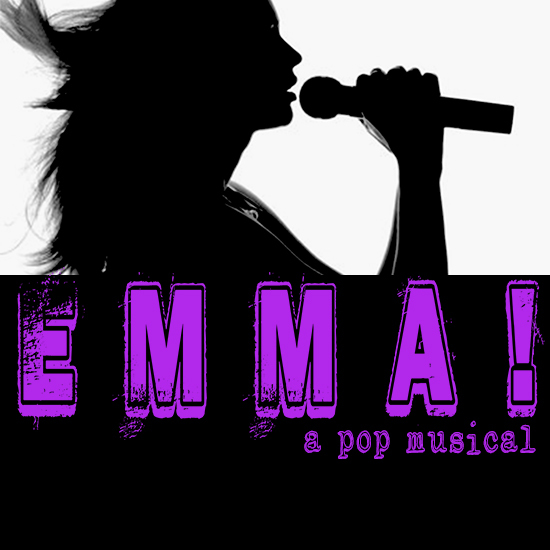 Auditions for WSR’s upcoming productions of “Emma: a pop musical,” “The Elephant Man,” “All Shook Up,” and “Freaky Friday” will be held December 2, 3 and 5th, 2018 at Raue Center For The Arts, 26 N. Williams Street, Crystal Lake, IL 60014. PLEASE NOTE– Adult auditioners only. Youth auditions will be held at a later date. A world-famous pop star who attended Highbury during his freshman year before he got a record contract and left school. He’s sometimes uncomfortable having such a glamorous persona and wishes his life could be a little more normal. 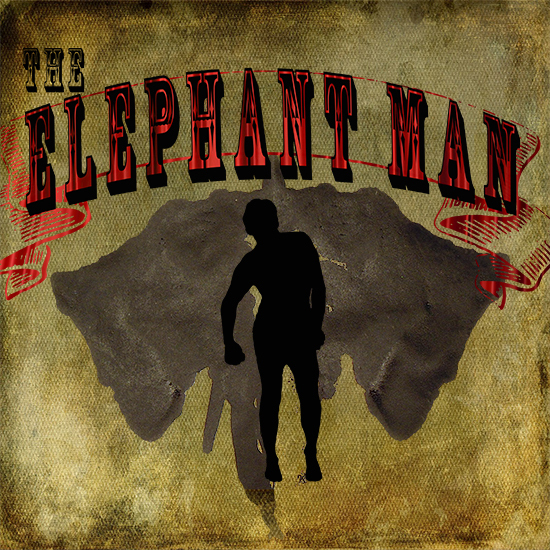 The Elephant Man is based on the life of John Merrick, who lived in London during the latter part of the nineteenth century. A horribly deformed young man – a victim of rare skin and bone diseases – he becomes the star freak attraction in traveling sideshows. Found abandoned and helpless, he is admitted to London’s prestigious Whitechapel Hospital. Under the care of celebrated young physician Frederick Treves, Merrick is introduced to London society and slowly evolves from an object of pity to an urbane and witty favorite of the aristocracy and literati, only to be denied his ultimate dream – to become a man like any other. Please Note: The roles of John Merrick and Mrs. Kendal have been cast. Pinheads – a show act consisting of 2- 3 women suffering from microcephaly and mental retardation. A Countess / A Duchess / Princess Alexandra – various High society guests that visit John Merrick. Nurse Sandwich – assures Treves she has cared for lepers in Africa and is quite prepared for anything, but even she cannot stand to look at Merrick. Ross – mid 30’s – mid 50’s – the carny manager of John Merrick, the Elephant Man – an opportunist looking to make a quick buck. Self-preservationist even possible harm to others. Bishop Walsham How – early 40’s – mid 50’s – A seminarist; religious and devout. He believes religion will win over the evolution of science. Could he be using Merrick as a way of morally showing others God’s true path? Gomm – late 40s – late 50s – Administrator of the London Hospital – practical; thankful for small goods that come his way but know what side his bread is buttered on and count his blessing for it. A cynic of Religion; uses Merrick to raise contributions to the hospital. Snork – early 30’s – 40s a porter at the London Hospital/friend of Will. “Pinhead” Manager – Manager of the Pinheads act at the fair. Will -early 30’s -40’s – a porter of the London Hospital that gets fired for gawking at John Merrick. Lord John – a member of High Society that uses Merrick as an opportunity to make some money and gamble it all away. Small Midwestern sensibilities. Set in 1950 the characters are typical arch-types of that era. Think Happy Days, Elvis Presley, Frankie & Annette, Gidget, Where The Boys Are, Blue Hawaii, American Graffiti, Father Knows Best, Bobby-socks & Letterman sweaters. Male and female roles in society were clearly defined. All characters should be able to handle basic choreography. Younger characters should be strong dancers. Natalie Haller (Female Identified) Lead/Alto (Early 20s): a mechanic. Ability to play female and male energies. Looking to break free and try something new. Level-headed in business; trusted. Most people see her as “one of the guys” not the women she truly wants to be. Chad (Male Identified) Lead/Baritone (20s-30s): a great-looking, motorcycling, guitar-playing, leather-jacketed roustabout. Charismatic. Think 1950s “bad boy”. Natural leader, people are drawn to him and what he has to say. The spark that reignited the town. Jim Haller (Male Identified) Supporting/Baritone (40s-50s): Natalie’s widowed father. Kind and considerate, a little lost he wonders if love has passed him by. Hopeless romantic pining for his lost love. Sylvia (Female Identified) Supporting/Mezzo-Soprano-Alto (late 30’s-50s): the no-nonsense, owner of Sylvia’s Honky-Tonk. Gritty and wise. Strong character female. Can be a woman of color. Lorraine (Female Identified) Supporting/Alto. Sylvia’s 16-year-old daughter. Wants something more. Is willing to go against norms in the name of love. Youthful with a strong rebellious streak. Can be a person of color. Dennis (Male Identified) Supporting/Tenor (20s-30s): a young, quirky and awkward, aspiring dentist. Blends into the background and is afraid to speak his mind. Definitely in the “friend’s zone”. Miss Sandra (Female Identified) Supporting/Mezzo-Soprano- Alto (20s-30s): the beautiful, intellectual caretaker of the town’s museum. Strong-willed, she knows what she wants and won’t settle for less. A fire in her soul. Dean Hyde (Male Identified) Supporting/Tenor Matilda’s 16-year-old son. He has grown up at a military boarding school. A teen looking for his first love. Bright, wide-eyed, a little repressed. Mayor Matilda Hyde (Female Identified) Supporting Alto (mid 40s-50s): the town’s conservative mayor. No-nonsense, likes being a leader. Has very clear expectations for the town. Rules with an iron fist and strong ideals. A little repressed. Sheriff Earl (Male) Supporting Baritone (mid 40s-50s): the law in town. A man of not many words. No-nonsense. Your typical small-town sheriff with his eye on the mayor. Henrietta -bar regular (Female Identified) Supporting Alto (open age): “Bar regular” says it all. Preparation: Please prepare a short pop or contemporary musical theatre song in the style of the show. ELLIE BLAKE, Mezzo belter with a strong warm mix, G3-Eb5. Katherine’s daughter – our reluctant hero – to play 16, smart, resistant, distrustful. Becomes a more loving, more understanding more invested daughter/sister/friend by the end of the story. A questioner. (Spoiler Alert) For much of the play, actress cast as Ellie will play Katherine (in Ellie’s body). KATHERINE BLAKE, Mezzo belter with a strong warm mix, G3-E5. Ellie’s mother. to play 40‘s. A self-made woman who runs her own fledgling but up and coming catering business. Engaged to be married to Mike, tomorrow. – In her own words, she’s decisive, lovely, punctual. To Ellie, she’s cold, inauthentic, and strict. Becomes a more loving, more understanding, more considerate mother and boss and (Spoiler alert) wife by the end of the story. An upholder. For much of the play, actress cast as Katherine will play Ellie (in Katherine’s body). FLETCHER BLAKE, Bb3-Eb4 Ellie’s little brother – to play 8-12, seeking a young actor good with silly voices, as he will voice puppets on his hand including ANGRY BOB, a wisecracking troublemaker and CASPIAN, a proper British starfish. MIKE, Db3-Ab4 to play 40‘s – Katherine’s fiancé,- quietly confident, unaffected charm. ADAM, Eb3-Bb4 to play 16-18, the “Listmaster” – exuberant, positive, thoughtful. TORREY, Mezzo Belter – Katherine’s assistant – a dedicated, overlooked, overshadowed sycophant. Seeking exceptional pop/contemporary singers with expressive movement skills. GRETCHEN, Ellie’s best friend – extremely observant/overly cautious. ADAM, Eb3-Bb4 the Listmaster – exuberant, positive, thoughtful. Seeking Character actor/singers with good movement skills. TORREY, Katherine’s assistant – a dedicated, overlooked, overshadowed sycophant. GRANDPA GORDON, 60‘s Katherine’s father – retired and resigned. SEN’IOR O’BRIEN, Spanish teacher – feels his time is being wasted. MRS. TIME, antique shop owner – distracted, tired, slow, methodic. Please prepare 16-32 bars of a song from a modern musical theater (an accompanist will be provided, bring sheet music) and 1 monologue OR 2 contrasting monologues. Please bring your Song Book in the event you’re asked to sing something else. Please bring two copies of your headshot and resume. For questions (or if you need to speak to a human), please call Raue Box Office at 815.356.9212 (Tues-Fri 2-6p | Sat 12-4p). All auditions will be filmed. This will be for the use of absent directors only. The footage will be deleted at the time of casting. Metra Pacific NW (Harvard Line) to Crystal Lake. Like us on Facebook for our most up-to-date audition information! Thank you for your interest & we look forward to seeing you!